Very Good. Another Country: the Emotional Terrain of Our Elders by Pipher, Mary Bray. Glued binding. Paper over boards. With dust jacket. 328 p.
Good. 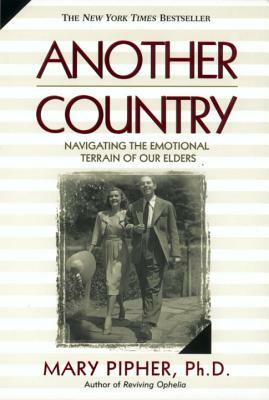 Another Country: the Emotional Terrain of Our Elders by Pipher, Mary Bray. Glued binding. Paper over boards. With dust jacket. 328 p.
Fair. 1573221295 Ships from Tennessee, usually the same or next day. Very Good. 1573221295 Ships promptly from Texas. Good. [ No Hassle 30 Day Returns ] [ Edition: Reprint ] Publisher: Riverhead Books Pub Date: 3/15/1999 Binding: Hardcover Pages: 328.